In my talk at the stem cell indaba in Cape Town last year, I boldly described how platelet rich plasma (PRP) may be beneficial to wound healing and tissue regeneration to a highly sceptical and overtly critical audience of A grade scientist and professors from all over Africa. Less than a year later, the entire world is abuzz with the innumerable benefits that PRP may confer on a variety of medical conditions, the latest of which is Alopecia. Today, physicians and scientists all over the world are demonstrating that platelet rich plasma may actually wake up dormant follicular stem cells and could quite potentially become the next major breakthrough in treating hair loss and growing hair. While some people feel this is yet another marketing attempt to rob balding men and women of their hard earned money, others are very excited by its potential. The technology as I’ve seen it applied falls a bit short. Either the original research in the application of PRP to hair loss are unaware of the short comings as presented or more likely, they held back some important steps in the name of technical propriety – which is perfectly fine and understandable. Blood is made from approximately 93% red blood cells (RBC), 1% white blood cells (WBC), 6% platelets, and plasma. When platelets are activated in the body, these sponge-like molecules form branches and release healing proteins called growth factors. Though growth factors have a multitude of responsibilities, the cumulative result is accelerated tissue and wound healing. The basis for the benefit of platelet rich plasma lies in decreasing the RBC count to 5% since they are less useful in the healing process while increasing the platelet count to 94%. A number of recent case studies of hair loss sufferers suggest that platelet rich plasma can stop and reverse hair miniaturization caused by androgenic alopecia or male pattern baldness. In one such study a 26 year old patient had hair transplant surgery to recover lost hair in the hairline, his posterior crown however was traumatized using a 1 mm micro needling roller and platelet rich plasma injected into the crown. 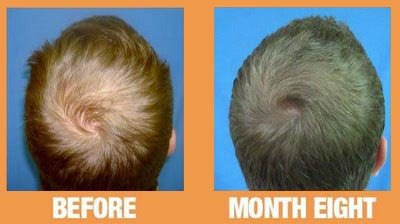 The result suggests that PRP not only stopped hair loss, but reversed miniaturization. Like any other conjectured treatment for baldness, scientists have a long way to go in proving that platelet rich plasma has any real benefit to balding men and women worldwide. At this point, all we can do is wait and watch as research continues on whether or not platelet rich plasma may be the breakthrough that people suffering hair loss have been waiting for. Have a look at http://www.youtube.com/watch?v=SY8-j4BeWdw and leave your comments on my blog below.